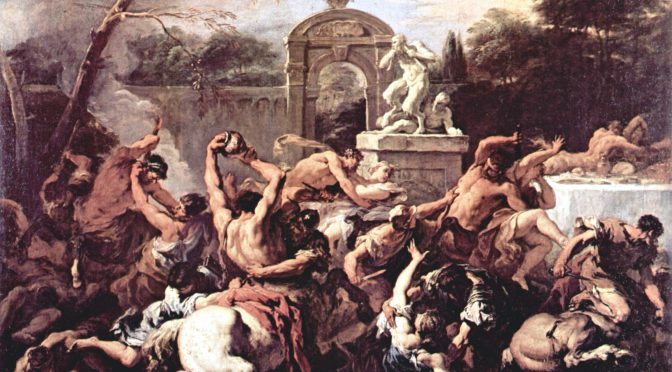 One of the most iconic combinations of man and beast in lore, the Centaur and creatures similar to the Centaur have been depicted in artwork for millennia and are one of the strangest creatures to appear in contemporary depictions of the ancient legends. Their form, a seemingly biological impossibility, is said to have been the result of divinity of one form or another breeding with the horses of the mortal realm. Their creation has often been either an accident, a consequence, or a punishment and they have generally been looked on by cultures with that in mind. Not helping their reputation, these powerful beasts have also had a conflicted nature in the world – often being seen as either the pinnacle of wild behavior or capable soldiers with wisdom to be handed down to we poor bipedal souls. But the question must be raised, without divine intervention, could such creatures even exist? As is well documented, the Centaur race are a race of individuals with a human torso atop a horse’s body. Having the midsection of the human torso blending into the shoulder and neck region of the horse’s body, the height of the combination is roughly that of a mounted rider atop a horse in a conventional sense. 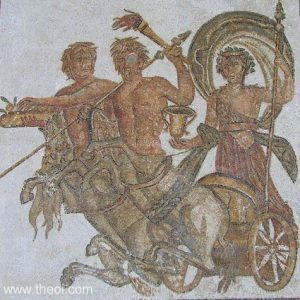 Though never identified specifically, the apparent traits of the horse are likely connected to certain breeds found through different isolated regions of ancient Greece. 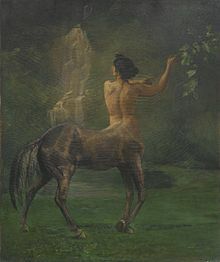 The most commonly depicted Centaurs, such as the children of Centaurus, were said to be the children of Magnesian mares. Magnesia, as a region within Thessaly, was most likely populated by the ancestors of the Pindos Pony at the time. Relatively short and unremarkable in many regards, the Pindos Pony, and their Centaur descendants, were shorter at the shoulder than an average horse by nearly two hands with a lean, even gangly build. This apparent lack of strength was however perfect for the regions of Thessaly, however, as their more delicate frames were well suited for the mountainous terrain they inhabited – being both sure footed and lighter than other breeds common at the time. 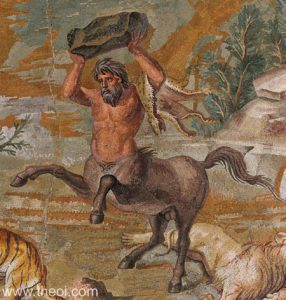 The next most common variety, to the southwest, were the Centaurs of the Foloi oak forest in Elis, a region on the Peloponnese peninsula. These Centaur, likely descended from the Adravida – a draft horse which had served as a cavalry mount in ancient Greece. These horses, and their Centaur offspring, were considerably more robust than their Magnesian cousins. Having come from a working breed, these Centaurs were considerably stronger in build, with broad shoulders and heavy frames that were more suited towards the less mountainous regions they came from. While other breeds of Centaur dotted the Grecian landscape, the majority fell along these lines, with similar brown to dark brown coats and unassuming features. The exceptions to this were the breeds found in Cyprus and modern day Turkey. Unlike other breeds found within the mainland of Greece, these Centaurs were known to have horns – an apparent result of the work of the gods who had placed them there to begin with. Some examples of these horned Centaurs were said to even travel with Dionysos, the god of wine, as he led an army of demigods to war with the distant Indian nation. Though the Centaurs do closely resemble horses of their regions, this is not actually associated with a specific breed but rather the traits most useful in their environment. 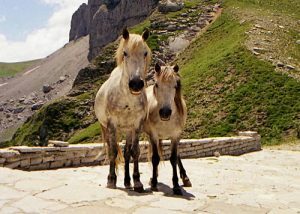 The earlier examples of Centaurs, particularly those to live within Magnesia and Elis, did resemble the horses mentioned previously but only due to the similar necessity of traits. Living in mountainous regions, the Centaurs of Thessaly benefited greatly from having lighter, sure-footed frames which could traverse the mountain terrain easily while their cousins in Elis were more likely to be working fields or moving lumber. 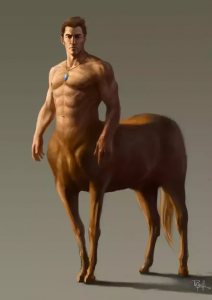 As a result, Centaur bodies are most likely to take the form best suited to their lifestyle and environment, not the popular breed of the area. As a result, modern Centaurs have changed greatly from ancient times and have adapted to a different lifestyle. Though rare to be found in the open any longer, the improved quality of life of the modern era has resulted in many Centaurs, previously evolved for harsher environments, to begin breeding towards aesthetics rather than function. As a result, while there are still examples of sturdy, soldier-like Centaurs and those who have adjusted to more rough terrain, a growing demographic in modern Centaurs have traits more akin to those found in contemporary show horses. Combined with your standard economic divides (aggravated more so by their need to seclude themselves from human society), the class divide within Centaurs is made much more visible in their attire. Though rarely depicted with clothes in ancient artwork, basic coats and accessories became common place for the upper torso as a means to keep body temperatures regular in environments outside their native Greece. However, it is not uncommon to find “working class” Centaurs to be dressed in simpler clothing and living in more rustic environments while the upper class Centaurs are known to dress in higher fashions. These Centaur elite, though secluded, have managed to use “old money” to maintain a luxurious aesthetic and lifestyle on isolated islands where contact with the outside world is handled through human servants and associated Alters. This class divide, easily identified from a distance, has resulted in different Centaur races being isolated not just from the outside world, but each other. As a result, while the more elite are known to wear certain high fashion items, the lower class Centaurs are known to wear fashions which are decidedly more “retro” or in line with the traditional wear of their homelands. 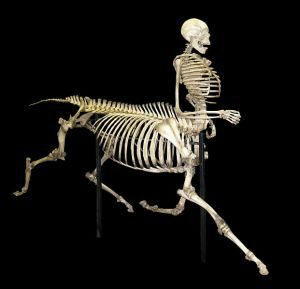 Having been bred through divine “intervention”, the Centaur is a being with a mysterious and seemingly impossible anatomy. 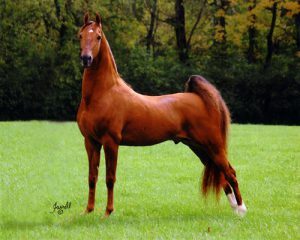 Their physical ability is comparable to the horses they resemble and many of their parent breed’s traits are carried over. As such, the average centaur is generally densely muscled with a strong back and sturdy legs. Their strength and agility, due to denser muscles and well-bred physiques, is considerably higher than that of humans or many other creatures they may encounter. However, mysteries remain. It is unknown how the Centaurs’ internal anatomy is supposed to work, if at all. They appear to have the necessary organs for both the horse and the human still intact due to the division of their bodies and have never been known to have any issues with this form. Their diet is also largely a mystery, being described vaguely as the same sorts of foods that humans eat but having very few specifics consistently mentioned over the course of the stories. Whether they lean towards the more vegetarian lifestyle of their hindquarters or the omnivorous diet of their upper body is largely up for debate. 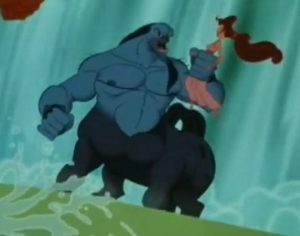 One of the earliest Alters to split off from the First Ones in pre-historic times, the Centaur benefited greatly from their early appearance in the Alter genome. Their form, a result of dramatic effects of Alter-enhanced human chimerism similar to the Arachne (possibly even through a common ancestor) was originally much more unorthodox and randomized from individual to individual. 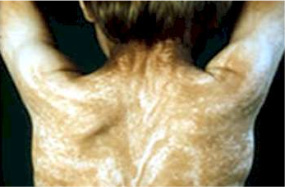 These physical abnormalities, originally debilitating and sometimes even fatal, were initially troublesome and came with a great stigma. However, thanks in no small part to the rapid adaptation made possible by First One biology, the Centaurs soon stabilized and rapidly undergo complete speciation – one of the few Alter races to do so. The resulting physiology is a combination of traits which are actually very much unlike that of humans or horses and borrowing more heavily from other creatures of the animal kingdom. Possessing more than one heart like an octopus, the Centaur circulatory system ensures not only proper blood flow but works together with their unusual respiratory system to guarantee proper oxygenation. Their respiratory system is a multi-staged system where the exhalation of one pair of lungs feeds into the other to allow a linear flow of air at all times. Similar to the process used by birds, this allows a near constant flow of fresh air across gas exchange tissues. The digestive tract of the centaur is, similar to the respiratory and circulatory system, multi-staged and mirrors that of cattle in some regards. The multiple stomachs of the Centaur actually provide them the ability to effectively eat anything, including those foods which would be considered too tough to digest for humans such as grass and hay. However, Centaurs, retaining the human dental structure and much of their original digestive flora, are known to prefer a more balanced omnivorous diet. Though capable of surviving on roughage, the energy content of meat benefits them greatly. Ironically, this has resulted in several enclaves in Europe and Asia to be fond of horse meat. An event they’re still unable to compete in publicly.